includes an eight piece set that fits along the bottom of the side window frames. Great way to make the side of your Ford Focus stand out. Contoured to the shape of the rear windscreen. Will only fit Focus saloon Model 2011-on. *Does not include the upper frame trims, please see our other listing. 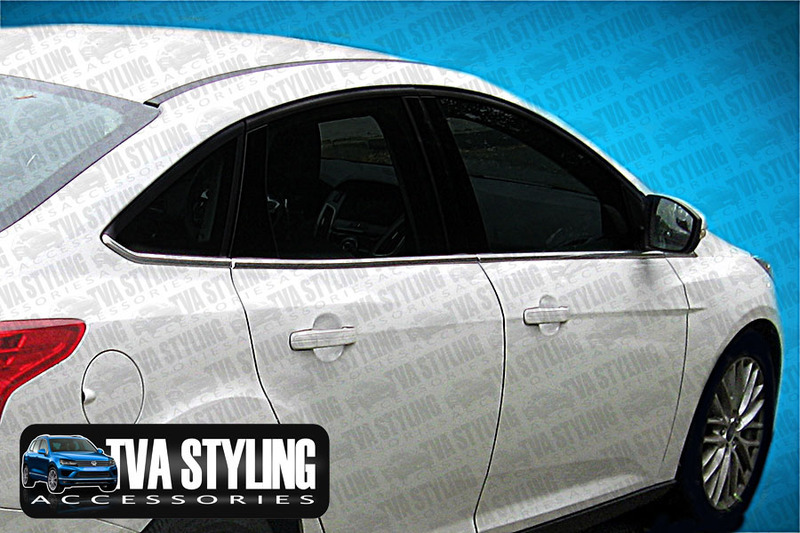 Click the button below to add the Ford Focus Chrome Lower Side window Frame Trim Set (saloon) 2011-on to your wish list.